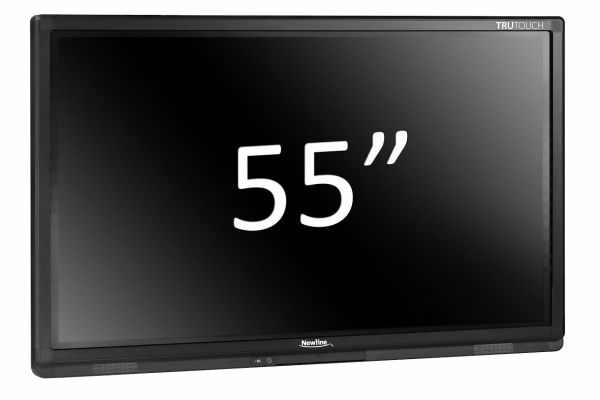 This 1080p 55″ LED interactive display is perfect for collaboration. 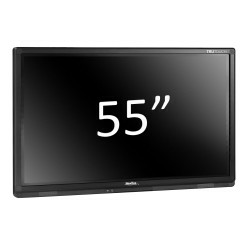 With a full non-proprietary whiteboard application, multiple input and output connectors, and an Open Pluggable Specification (OPS), this interactive display allows you to experience meetings and presentations on a display that redefines clarity. TruTouch displays react to touch the same way as phones and tablets, so you can tap, pinch, scroll and interact the same way you would with the devices you use every day. TruTouch recognizes up to 10-point touch and 6-point writing all at once. With Multi-Touch technology on a larger scale, TruTouch displays allow multiple team members to work on the screen at the same time.